Coca-Cola table and four chairs. Coca-Cola trucks, vans and uniformed deliverymen paraded through the streets of Agra to great fanfare, signaling to the world’s second most populated country that Coke was back in a big way. 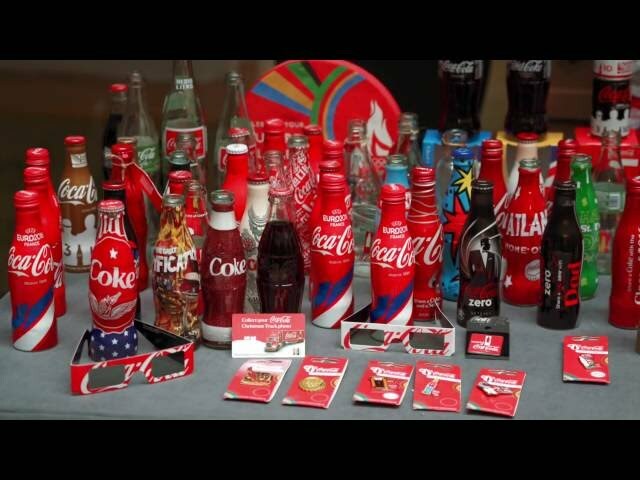 The Coca-Cola Company partner with an Indian entity. Coke refused to budge, choosing instead to walk away from a market leadership position in a nation of more than 800 million people. The deal gave Coke a huge head start. "Just like that, we acquired a 60 per cent share," Neville Isdell, then-president of Coke’s Northeast Europe and Middle East Group, told Journey magazine soon after the agreement was signed. It was risky, however, because we were acquiring competitive brands, which was unprecedented for the company as an entry strategy. Neville and I agreed to ask for forgiveness later if it didn’t work out – rather than asking for permission up front. Before signing the agreement, we had to get approval from our Board of Directors. Roberto Goizueta categorised it as the deal of the decade. Ninan: We knew the best way to celebrate Coke’s return would be to organise a Juloos, a traditional Indian procession. So, in every market, a parade of trucks, vans, trolleys and local bottler sales people sampled free product along the main thoroughfare. The idea of a Juloos was provided by Win Mumby, a member of the India Task Force that visited India in the summer of 1992 to develop a re-entry strategy for the company into India. This established to the retail trade that “Coke is back and we’re here for good” and generated a lot of positive PR. There were huge expectations among media and the public. To them, the return of Coke represented the opening up of India’s economy to the Western world. TV networks, including CNN in some cases, covered these market launches and provided a lot of free publicity. Dalvi: Our team strongly emphasised the importance of building the right foundation. It could have been easy for us to simply blend in by following what the local market was doing in terms of quality, packaging and advertising standards. We were always driven by a focus on doing the right thing for the business over the long term. Abraham Ninan is group director of Category and Brand Insights (Still Beverages) for Coca-Cola North America.